David is a Florida Attorney & Canadian Legal Advisor focusing on cross border tax, estate planning and real estate for high net-worth individuals. He is the managing partner of Altro LLP, which he founded in 1988 and has offices in Canada and the US. David is also the author of several industry-leading books on cross border tax and legal matters. For Canadian snowbirds who own U.S. vacation properties, renting out those properties for some or most of the year can provide a nice revenue stream. This extra income can help to pay down the purchase price of your property, cover other property expenses or contribute to your snowbird lifestyle. However, renting out your U.S. property also comes with a number of tax, liability and legal matters that must be properly addressed, as failure to address these matters can lead to big headaches and even bigger financial liabilities. Accordingly, snowbirds should always be aware of and deal with the following issues prior to renting out their U.S. vacation properties. Canadian snowbirds are tax residents of Canada; however, they must report U.S. rental income to the Internal Revenue Service (“IRS”) if they rent their property out for 15 days or more per tax year (if you rent your vacation property out for fewer than 15 days per tax year, then you don’t need to report your income to the IRS). Snowbirds must report rental income on IRS Form 1040NR. Note that unless your cross-border savvy accountant makes a special election by filing IRS Form W-8ECI with your Form 1040NR, the IRS will levy withholding tax on your U.S. rental income. The withholding tax is 30% of the gross rental income. However, if you file for the special election, you only have to pay tax on your net rental income. There is another important federal tax form that you may need to file in the U.S., depending on the ownership structure of your property. 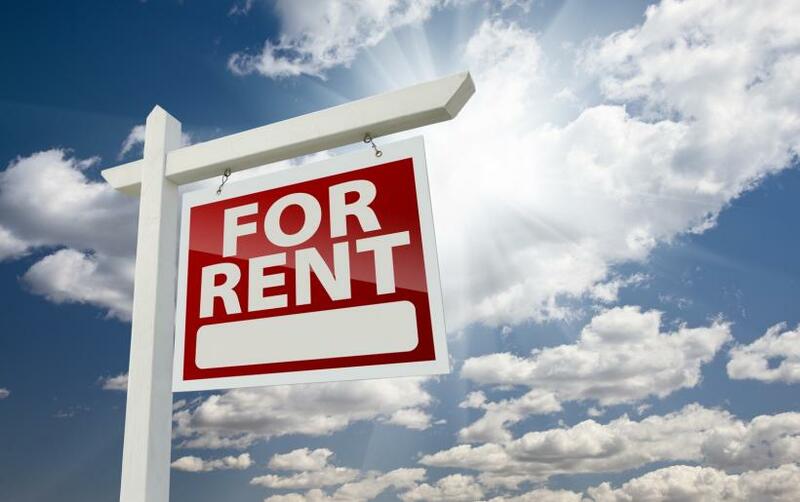 If you own your U.S. rental property in your personal name and you don’t already have a U.S. Individual Tax Identification Number, commonly known as an ITIN, you will have to apply for one in order to file Form 1040NR. Applications for ITINs can be made on IRS Form W-7. Also, certain U.S. states require you to pay state-level tax on your rental income. Although Florida does not levy personal income tax, the state does levy a sales and use tax on vacation rentals that property owners are required to collect and remit to the Florida Department of Revenue. Additionally, some Florida counties may require you to pay a discretionary sales surtax on the state sales and use tax, as well as a transient rental tax on rental income earned on short-term vacation rentals of six months or fewer. If you own rental property in Arizona or California, you may also be subject to both state and county and/or city level tax on your rental income. Tax rules are complex in all three states, so it’s best to consult with tax professionals familiar with local law to ensure that you abide by all relevant legislation for your vacation rental. Ideally, you will consult with a knowledgeable tax professional prior to renting your property out so that you complete all necessary registrations, filings, and tax payments in a timely manner whether you own property in Florida, Arizona or California. Your tax-paying responsibilities don’t end in the U.S., as U.S. source income must also be reported in Canada to the Canada Revenue Agency (the “CRA”). You must report all U.S. rental income earned to the CRA, even if you’ve rented your property for fewer than 15 days in a tax year. There is a bright side, though: you will receive foreign tax credits from the CRA for the federal and state income tax that you pay in the United States. These foreign tax credits offset the tax owing in Canada, and if you receive sufficient foreign tax credits, you may be able to completely avoid double taxation. Failing to report your rental income in both Canada and the U.S. can result in fines and hefty interest charges being added to any income tax that you should have previously paid. You may also suffer other tax consequences, such as missing out on the opportunity to carry forward losses in future tax years. A common concern for snowbirds renting out their U.S. vacation property is personal liability. The U.S. is a notoriously litigious country. If your tenant slips and falls on your property, for example, they can sue you for damages – moreover, your tenant could win, costing you thousands of dollars in both legal fees and damages. One effective way to protect yourself from being personally liable for your tenant’s injuries is to obtain adequate liability insurance. There is a plethora of insurance options available in the U.S., so take the time to choose a policy that will provide you with comprehensive coverage in a variety of circumstances. For instance, you likely already have homeowner’s insurance, but you must make sure that your policy is adequate to cover you when you rent your property out for both personal liability and property damage. Check to see if your homeowners’ policy has a rider that covers you if you rent your property out more frequently than on an occasional basis. You can also purchase a landlord’s insurance policy instead of a regular homeowner’s policy, but landlord’s insurance will typically only cover damage to your property (not personal injury) while it’s rented out by a tenant. If you do purchase landlord’s insurance, make sure your policy has enough coverage to protect your furnishings. When selecting liability insurance, you may decide to purchase one comprehensive insurance policy that covers your property year-round, regardless of whether you are occupying the property as the homeowner or whether you have tenants occupying your property. As I mention below, you can also obtain liability protection by selecting an appropriate ownership structure. Ownership structures such as irrevocable trusts and limited partnerships, for example, are good options for snowbirds looking for liability protection on their U.S. rental properties. You might think that renting your U.S. vacation property on a short-term basis requires only a handshake between you and your tenants, but to fully protect your rights, you should always have tenants sign a short-term rental agreement. Signed agreements are the best evidence of the terms of your deal with each tenant. If your tenant does something to violate the terms of your agreement, then you will have written, legal proof of those terms in case you need to present them at court in the future. You should include standard terms that you’re used to seeing in regular lease agreements, such as the legal names of the parties to the agreement, dates of the rental period, rental price, payment methods, payment schedule, and whether or not utilities are included. You should also include terms about the security deposit (how much it is; when it is due; for which types of damages you will use the security deposit; or, if it goes unused, under what circumstances you will return the deposit). Including rules for the tenants’ stay is also prudent. For instance, if you want to prohibit pets or smoking, you can state these prohibitions in your short-term rental agreement. Also include language about the condition of the property – ideally, tenants should leave your home the way they found it. Short-term rental agreements should also contain language about cancellations. If a potential short-term tenant signs your agreement and then cancels after a certain point, you may not be able to fill the unexpected vacancy. Drafting a strong cancellation policy that enables you to charge a cancellation fee, for example, provides you with protection from pecuniary losses. While there are free short-term rental agreements available online, it’s always best practice to have a real estate lawyer review your agreement to make sure that it complies with local law and to ensure that you haven’t left out any important considerations. Choosing the most appropriate ownership structure for your U.S. vacation property can be a challenge. Some considerations to think about when choosing an ownership structure are probate, guardianship proceedings, tax, and liability protection. When it comes to ownership structure options for rental properties, limited partnerships and trusts can be good choices, but you should always consult with an experienced cross-border real estate lawyer before choosing a structure, as there may be other factors related to your personal situation that necessitate using a different, more appropriate structure. Limited partnership (“LP”) structures are often ideal for snowbirds who rent their U.S. vacation property out for part of the year. A corporation can serve as the general partner, while you can act as the limited partner. LPs avoid costly and time-consuming probate and guardianship proceedings upon your passing, and they may avoid U.S. estate tax as well. Since LPs are flow-through entities in the eyes of both the IRS and the CRA, tax on rental income is levied at your graduated personal rates as the limited partner. Limited partners also receive foreign tax credits from the CRA for the rental income paid to the IRS, so they typically avoid double taxation. Capital gains tax rates are also lower than other ownership structures, such as corporations. LPs also protect your liability as the limited partner. Only the corporate general partner of your LP would be responsible for paying damages in lawsuits won by tenants. Cross-border trusts (“CBTs”) and cross-border irrevocable trusts (“CBITs”) are also viable structures for Canadians who own U.S. property. CBTs avoid expensive and time-consuming probate, and they minimize U.S. estate tax consequences. CBTs also provide your heirs with creditor protection. For example, if your child inherits your U.S. vacation property through your CBT and later goes through a divorce or runs into financial trouble, their divorcing spouse and creditors won’t be able to touch this asset. Although CBTs don’t provide you with liability protection, as discussed earlier, liability insurance can bridge this gap. CBITs avoid probate, U.S. estate tax, and provide liability protection. They can be ideal for clients who have a high-net worth and exposure to U.S. estate tax.